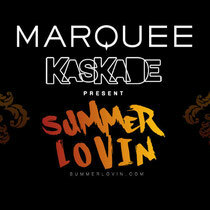 Marquee Las Vegas recently released an early morning segment of a live set from Kaskade's Summer Lovin' residency night on August 10th. As the GRAMMY-nominated DJ's 2013 run came to end on the Labor Day Weekend, the club celebrated the dance music experience that it has come to be known for all year-round. This inimitable setting "creates a place where a DJ can stretch out and push the boundaries of where they usually go," Kaskade notes in a personal Tumblr post, "the opportunities for this [type of] music are endless." Coming off the apex of a big-room night somewhere in between 4am and 6am, he manifested his artistic freedom through making a largely unprecedented move in Las Vegas by playing deep house. Known for his emotional and vocal deep house hits and DJ performances, Kaskade departed from his archetypal sets showcasing an avant-garde style pushing the Las Vegas music scene forward. In the early morning hours, he harnessed the opportunity to weave through a refined selection of groove-driven house providing club goers with a strong vibe that they may not have expected by including tracks from the likes of Mark Knight, Ben Pearce, Pleasurekraft and Kolombo. Download it below.